Attention Whole Foods shoppers, this month and next, Whole Foods Market shines the WFM spotlight on Italian wines at great prices. The grocery chain is also hosting a pair of virtual tasting events to help spread the word about their great Italian value wines. Get the details on the wines and the April 10th virtual tasting event on Twitter here. The Castello di Monsanto website tells the story of Aldo Bianchi, who swooned over the views available on the Tuscan property he bought in 1960. His son, Fabrizio, swooned over what was in the cellar - bottles of Chianti. He and his wife worked to build the winery and plant new vineyards, and through the years the company has brought their winemaking techniques into modern times. Their Monrosso Chianti is made of 80% Sangiovese, 15% Canaiolo and 5% Merlot grapes. It carries an alcohol number of 13.5% abv and is bottled under natural cork. The grapes come from the Chianti Colli Senesi region, south of Chianti Classico in the Siena hills. Produced in stainless steel tanks, the wine is then aged a year in Slavonian oak barrels which, according to the winery, gives sweeter and less aggressive tannins. Medium dark in color, Monrosso Chianti has dark fruit aromas on the nose with separate floral and savory angles running through it. A slight funkiness really offers an attractive note, while oak spices are in plentiful supply. The palate shows blackberry, plum and cherry flavors with a nice level of acidity and gentle tannins. On the finish, the plums come forward to take their place in the spotlight. Possessed of a rustic character, it's an "everyday red" you can pair perfectly with pasta or pizza. You can go to the hashtag #WFMWine to see how much fun we had on the first wine tasting. Sedàra is a Sicilian wine made primarily from the Nero d'Avola grape, with some Cabernet Sauvignon, Merlot, Syrah and a smattering of other varieties in the mix. Alcohol is fairly moderate, at about 13% abv and the wine is bottled under an aluminum screw cap. This extremely dark wine shows its colors on both the nose and palate. Blackberries, black cherries and prunes shade the aroma profile, which is actually dominated by a savory funk that I find irresistible. Flavors of black fruit appear on the palate, along with great acidity and a tannic structure which begs for a steak to be thrown on the grill. The comments on Twitter were favorable. @WFM_Louisiana tweeted, "Donnafugata Sedàra's rich, deep flavors have us singing!" @DrinkWhatYouLike wrote, "Digging the initial funkiness on the Donnafugata Sedàra." @JamesTheWineGuy liked Sedàra's "notes of crushed dried red rose petal, early season cherry, Thyme, mint and pepper." @winefashionista gave a brief commercial: "I need to buy a case of @DonnafugataWine Sedara oh my gosh what a great wine and terrific value! Under 10 bucks!" A similar sentiment came from @WineHarlots: "Donnafugata Sedàra from Sicily. $10. Earthy fruit and dust. #Bargain." I second that hashtag. You can go to hashtag #WFMWine to see how much fun we had on the first one. Cousins Ilario and Leopoldo Ruffino founded the Tuscan winery that bears their name in 1870. Within a decade or so, they had made a name for themselves in the wine world with their wines made using grapes sourced from local farmers. They have had some famous fans. The Duke of Aosta named Ruffino the official wine supplier to the royal Italian court. Composer Giuseppe Verdi wrote a 19th-century letter to the winemakers - a complaint that the wine he ordered was late in arriving. It's a good thing for the Ruffinos that Verdi didn't have Yelp at his disposal. "That damn Verdi again! What's the opera this time?" The winery has weathered the decades well, good vintages and bad, even recovering from the destruction of its cellars in a WWII bomb attack. Orvieto Classico was named for the beautiful Umbrian city from which its grapes are sourced. Those grapes are a treasure trove of Italian white wine fruit: 40% Grechetto, 20% Procanico and 40% other white varietals, like Verdello and Canaiolo Bianco. The wine is produced entirely in stainless steel vats and comes in at an easy-drinking 12% abv. It is bottled under an easy-opening screw cap. On Twitter, kudos were given by @ClearLakeWine for the Orvieto's "great acidity," along with a pairing suggestion: "Not surprisingly, the Orvieto Classico [is] fantastic with good parmesan." @WineFoodTravel tweeted, "Wow, the Orvieto Classico is definitely a great summer wine. Goes great with scallops. #Yum." #YumIndeed. I had the good fortune of running into a few old friends at the Sonoma in the City event at the Montage hotel in Beverly Hills. It should be noted that a wine event is one of the rare occasions when I run into old friends in Beverly Hills. I am grateful for these events, which keep me in touch with my fellow wine tasters and writers. I made a couple of new friends at this particular event. Winemaker Theresa Heredia (below, right) was present at the Gary Farrell table, having taken over the cellar in May 2012. Heredia and General Manager Nancy Bailey (below, left) both related the story of their wines to me in such a way that their excitement and passion could not be hidden. The two presented a formidable tag team of information, with Heredia pouring the Chardonnay she blended and Bailey pouring the Gary Farrell Pinots for me. Gary Farrell was a pioneer in the Russian River valley. He and Joe Rochioli, Jr. blazed the Russian River trail for Pinot Noir and Chardonnay. Rochioli ripped up French Colombard vines to plant Pinot Noir in the early 1970s, a time when the lack of hindsight made that seem like the raving of a crazy man. Time has proven him correct, though. Farrell's first wine under his own name was a 1982 Rochioli Pinot Noir. 2011 Russian River Selection Chardonnay, Russian River Valley, Sonoma County $35 - Heredia got her feet wet with this wine - she got to do the blending on it. The wine has a nice touch of oak, 40% in barrels for seven months. Even though the oak is sweetly on the forefront, she plans on reigning in the use of oak in her vintages. 2011 Russian River Selection Pinot Noir, Russian River Valley, Sonoma County $45 - Cranberry and raspberry flavors follow a delicate floral nose. 2011 Hallberg Vineyard Pinot Noir, Green Valley of Russian River Valley, Sonoma County $55 - Bailey explained that Green Valley is about ten degrees cooler than the land just ten minutes north toward Dry Creek Valley. Cool climate notes like leather and bacon come forward in the nose, while the acidity is fantastic. Available only at the winery. 2011 Hallberg Vineyard Dijon Clones Pinot Noir, Green Valley of Russian River Valley, Sonoma County $60 - Lighter aromas and mouthfeel mark this wine as distinct from its vineyard sibling. Available only at the winery. 2011 Rochioli Vineyard Pinot Noir - From that warmer area ten minutes north of the Hallberg Vineyard. More red fruit shows up here, along with roses and black tea. 2011 Bacigalupi Vineyard Pinot Noir - This vineyard is even further north toward Dry Creek Valley than Rochioli. The wine is more masculine, showing a bigger mouthfeel and more tannins. Whole Foods Market are celebrating wines from Italy this month and in April. Eight delicious and seductive wines from some of Italy’s notable winemakers are offered at great prices - all under $16. From light, crisp Pinot Grigio from Veneto to earthy, fruit forward Sangiovese from Tuscany, you can taste your way through Italy with recipes and cheese pairings from Whole Foods Market. Market’s featured Italian wines as well as the dates and wines for the two Twitter Tastings - access them at hashtag #WFMWine. The comments below are from Whole Foods. I'll be writing about these wines, in my own words, separately over the next couple of weeks. Get your descriptors warmed up, and get your wines at Whole Foods Market so you'll be ready to join me and share your thoughts on them via Twitter on both dates. "On the nose are vivid aromas of pineapple and tangy green apple. There is a lovely balancing act between juicy ripe pear notes and bright acidity with a clean, delicate finish." "Fresh flowers and citrus on the nose followed by ripe green apple up front, sassy acidity and a characteristic touch of mineral. The finish is long and fragrant with almond notes." "Ripe blackberry and chocolate-covered cherries distinguish this delicious aroma. This rich red is juicy with notes of black fruit and a satisfyingly long, dense finish." "Fresh cherry and strawberry aromas give way to cascading notes of sun-dried cranberries, then black olive then peppercorn. The finish is rich, deep, and rustic." "This sparkler has orange blossom aromas and honey notes. Frisky flavors of apple and citrus bubble to the front and then make room for the light fresh finish." "White fruit, cut flowers and intriguing mineral aromas are on the nose followed by kiwi tartness balanced by mellow honeydew notes. The finish is dry crisp and crowd-pleasing." "Lavender and cranberry aromas blend in this soft, rich ruby red wine. Gentle tannins, abundant fruit, and a well-balanced finish characterize this textbook Chianti." "This red has complex aromas of fresh fruits and violets followed by Tuscan herbs, black currant and pomegranate flavors that move to a smooth finish." Winemaking has been going on in Oregon since the mid-1800s. The first winery popped up in 1847 and an Oregon wine won the blue ribbon at the St. Louis World's Fair in 1904. Prohibition killed winemaking in the Beaver State and didn't resume until thirty years after the ban was repealed. California winemakers ventured into the state during the 1960s to take advantage of the cool-climate Willamette Valley for growing Pinot Noir grapes, and the rest is history. Pinot Noir and Pinot Gris have come to represent Oregon wine. Elizabeth Chambers - call her "Liz" - says, "It may be because I am a woman, but I am not interested in seeing who can make the wine with the biggest muscles. I want to drink wines that have table manners, wines that can dance. I want elegance and style in my wines." Elizabeth Chambers Cellar is in McMinnville, Oregon, in the northern part of the Willamette Valley. The boutique winery was founded only last year, and Chambers has just released her initial wines. The winery and tasting room are located in the town's historic power plant, an electrifying locale to say the least. Chambers is a third generation Oregonian whose family helped pioneer winemaking in the Willamette Valley. Her mother loved butterflies, and that's why that blue one floats across the label of her Pinot Noir. Also on the label, Chambers says, "We partner with local growers who use environmentally friendly farming techniques to grow grapes that reflect each site's distinctive terroir." The Willamette Valley was Snooth's Region of the Year in 2013, so she seems to be in the right place at the right time for terroir. The Elizabeth Chambers 2011 Pinot Noir Willamette Valley Winemaker's Cuvée is a limited production blend, 100% Pinot Noir, utilizing grapes grown primarily in Freedom Hill Vineyard and selected blocks from the Lazy River Vineyard. The wine has alcohol at 13.3% abv and sells for $32. Winemaker Michael Stevenson does not believe in excessive manipulation, saying, "Ninety percent of what is in the bottle is determined by what we pick in the vineyard." The wine is aged for ten months in predominantly used oak, in keeping with his minimal intervention program. This Pinot Noir is rather lightly tinted and smells of raspberry, but the fruity aroma really has to elbow its way through a savory crowd of leather and mushrooms. It conjures up a masculine image of tromping across a forest floor with a weathered leather vest, but on the palate a more feminine presence takes over. It's an elegant sip, with restrained tannins, bright acidity and flavors of cola and tea. Strawberry on the finish lingers like a soft kiss. The wine is quite impressive and very distinctive. Chambers and Stevenson can be proud of their first vintage. The first recorded account of Maryland winemaking is said to date back to 1648, although it would be three centuries before an official winery appeared. Boordy Winery was the state's first in 1945. So, unlike many states in which wine production suffered terribly after Prohibition, Maryland began its bounceback in relatively short order. Thing is, it really was more of a startup than a bounceback. In the 2012 numbers, Maryland comes in 17th in wine production by state with over 337,000 gallons. There are four wine regions in the Old Line State, a name bestowed by George Washington in honors the state's troops. The Maryland Line fought often in the Revolutionary War. The Piedmont Plateau stretches from the foothills to the Chesapeake Bay. The Eastern Shore has a climate held temperate by the the bay and is divided into the Upper, Mid and Lower Shores. The Southern Plain is hot most of the summer, day and night. Here, Italian grape varieties are grown with great success. In the Western Mountain region grapes suitable for cold climates thrive. Elk Run Vineyards and Winery is in the Piedmont region, where the largest number of Maryland wineries are. If you look closely, you'll see Elk Run wine featured in the Netflix series, "House of Cards." Those politicians may be evil, but they don't need a train to run over them to recognize a good wine. At least they drink local. The winery at Elk Run is named after a creek, while the vineyard's name has deeper roots. "The deed name to the property is the 'Resurvey of Cold Friday,'" says their website. "It was a land grant from the King of England to Lord Baltimore. The winemaker’s home is circa 1756." The website continues, "Soils of schist and shale allow for deep roots and good drainage. Seven to eight hundred foot elevations help keep the vineyard safe from frost danger." The Elk Run Syrah, Cold Friday Vineyard 2011 is extremely dark, deep indigo - so dark it's almost black, with barely any light getting through. A wonderful whiff of spices hits the nose first, with lovely red currant aromas following immediately. There is a savory aspect, too, which is very light - it doesn't really smell like meat, but it makes me want some. On the palate, things are just great. Beautiful flavors of raspberry, cherry and cranberry converge in a wash of fruit riding on a peppery wave of fresh acididy. This wine does not lay it on heavy; rather, it tries to slip past without attracting too much attention. That is the only thing it fails to do, though. Sipping this wine absent-mindedly would be as easy as mistaking winemaker Fred Wilson's colonial digs for the Washington Monument. He did a great job on this single-vineyard Syrah. South Carolina's wine industry is a faint one, with only a dozen or so winemaking outlets. The wine industry in South Carolina is still struggling to its feet. 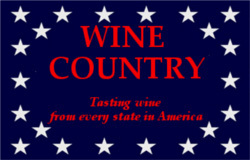 The state's yearly production of wine is listed among U.S. states as "other," a grouping of the bottom dozen or so states. Even as a group, the wine production of the "other" category is minuscule. Interest in winemaking in the carolinas first appeared in the 1680s. 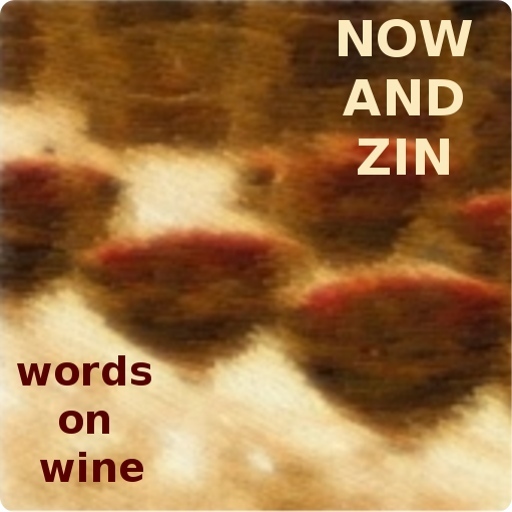 There is an interesting report on tasting notes of early South Carolina wines written by Aaron Nix-Gomez that you can find here. Wine grapes - at least vinifera - do not do well in the heat and humidity of the Palmetto State. For this reason, the state's winemakers rely on hybrids and North American grapes like Blanc du Bois, Catawba, Cayuga, Chambourcin, De Chaunac, Seyval Blanc, Vidal Blanc and Vignoles. They also manage a bit of Cabernet Sauvignon, Merlot and Chardonnay - whatever they are - in the higher elevations. South Carolina wineries also do some Muscadine, a grape both loved and reviled by wine lovers, depending on where the interview is conducted. The farther south you go, the more love Muscadine gets. You will find Irvin-House Vineyard and Winery on Wadmalaw Island, not too far from Charleston, in what is known as the lowcountry. Irvin-House specializes in wines made from the Muscadine grape, a grape well-suited to the humidity near the coast. According to the video on the Irvin-House website, Muscadine was discovered in America in the 1500s - before there was an America. It is native to the southeastern U.S.
Magnolia White Muscadine Wine is a semi-sweet wine that only hits 12% on the alcohol scale and comes bottled under synthetic cork. It's one of five styles of Muscadine wine made by Ann and Jim Irvin. They also produce a semi-dry white, a blush, a dry red and a sweet wine. It flies the flag of the Charleston County appellation. The Irvins decided that retirement was not for them, so they purchased a 50-acre farm and then planted vines in 2001. The winery website cites a National Institute of Health figure which says Muscadine wine contains seven times the amount of resveratrol than other wines. With all the talk of resveratrol's health benefits, it would seem you really can drink to your health with Muscadine. This South Carolina wine looks absolutely gorgeous in the glass - a rich golden color bordering on copper. The nose is just as impressive. Fruity aromas are wrapped in a sweet earthiness that reminds me of picking mayhaw berries by the east Texas train tracks as a kid. The wine tastes sweet and fruity with a heapin' helpin' of that earthy essence to balance things. The acidity is not as high as you might find in a grape that grows in a cooler climate, but the wine's flavor lends itself well to food pairing. It also hits the spot as a sipper. Chill it well for those sweltering afternoons that summer will bring.